ISIS and other terrorist groups are killing Syrians they hold captive by appalling atrocities, exposure to freezing temperatures, denial of vital medical treatment, and starvation. Syrian armed forces so far haven’t freed trapped Fuaa and Kafrya residents in Idlib province mountainous areas. They may freeze to death from exposure or perish from denial of essential to life services. 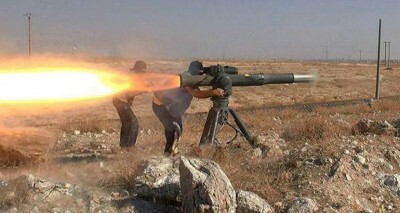 Syrians in Aleppo province Nubl and Al-Zahra areas are threatened the same way. Unknown numbers are dying out of sight and mind, their situation ignored by the media- suffering at the hands of US-supported ISIS and other terrorist groups, holding them captive under siege and endless war. Anyone attempting to leave risks being lethally shot by snipers. Many hundreds of desperate men, women and children were killed or wounded, medical care mostly unavailable. Earlier Syrian attempts to deliver humanitarian aid were blocked or stolen. Nubl and Al-Zahra have been under siege for years. Fake Western, Saudi and Qatari media images alleging Madaya starvation substitute for explaining the plight of Syrians besieged by ISIS and other terrorist groups. On Monday, humanitarian aid reached Madaya residents – 44 trucks delivering food, medicines, blankets and other supplies, despite ISIS terrorists controlling most of the area. They routinely steal humanitarian aid, using it for themselves along with selling it at unaffordable prices – around $250 for a kilogram of rice. Residents complained of confiscated government aid – current supplies at risk. On Monday, the Syrian Arab News Agency (SANA) reported 65 trucks of humanitarian aid reaching Madaya, Kafrya and Fuaa – a cooperative Syrian government, Syrian Red Crescent, ICRC and UN initiative. Whether supplies reach desperate people in need remains to be seen, given terrorists’ attempts to steal them. Separately, Russia reports its aerial campaign struck 1,100 terrorist targets since January 1 alone – permitting Syrian armed forces to continue retaking territory lost earlier, inflicting heavy casualties and loss of equipment on ISIS and other takfiris. Two key terrorist field commanders were killed in combat – Bashar Mohamed Al-Qatur and Mohamed Ismael. Operations are impeded by Ankara directly aiding terrorist fighters – letting them freely cross back and forth between Turkey and Syria. Erdogan provides them with weapons, munitions, equipment and supplies. He sells their smuggled oil, waging proxy war on Syria complicit with Washington.